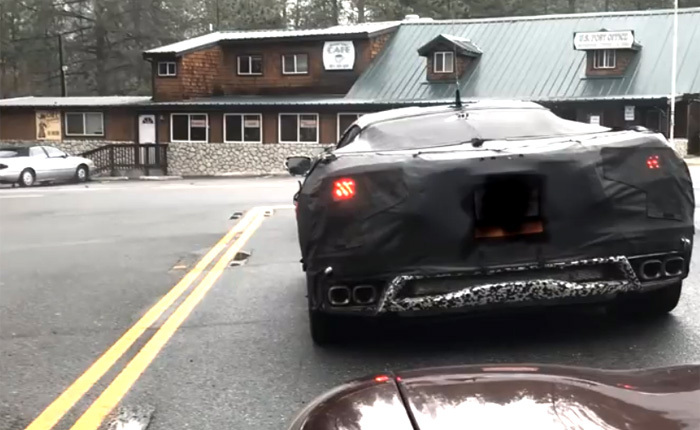 The owner of a supercharged C5 Corvette was driving through the mountains around Idyllwide, California on Monday when he passed a group of C8 Corvette prototypes in full camouflage traveling the other direction. Our lucky Corvette driver then does what I think anyone of us would do when presented with such a golden opportunity. After a quick u-turn and some heavy throttle, the C5 Corvette quickly catches up to the group and discovers a total of four C8 Corvettes testing in the San Jacinto Mountains of California. The supercharged C5 Corvette sounds really great so there is really no chance to capture the sound of the C8 Corvettes in this video. 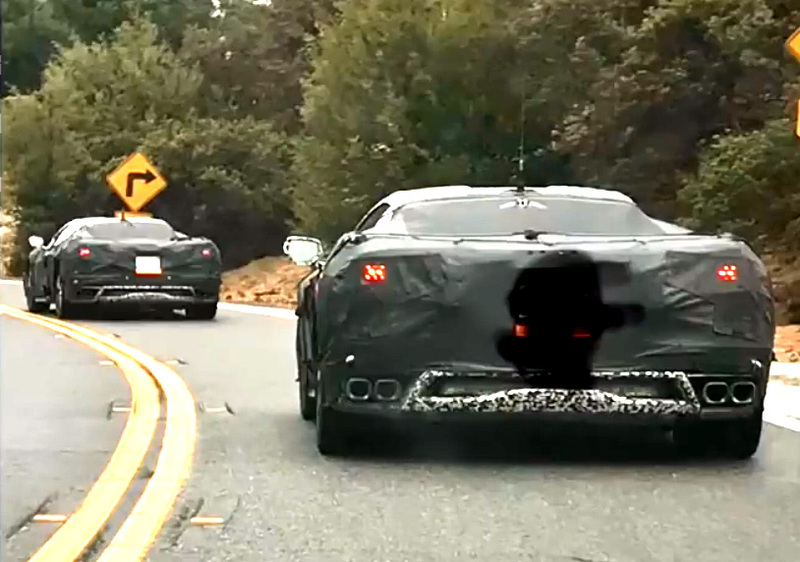 At first, we are disappointed as the camera view is rear facing, but the driver does a good job of mixing in a couple of forward-facing views of the C8 Corvettes in front, and then we see the two come up behind him at the stop. As I was headed down the mountain, the first 2 flew by me, I flipped a U turn and caught up to them, then the other two came in behind me! I chased the front two for a good 15 minutes thru the canyons, the roads were wet, but we did get after it a bit!! The biggest takeaway of this sighting is that the Corvette team has now moved into a new phase of testing the mid-engine C8 Corvettes in public and we guess that we’ll be seeing videos like this for the foreseeable future. With the C8 Corvettes now testing on public roads, that means our timetable of a 2019 reveal at the Detroit Auto Show looks more and more favorable. Senior Editor and founder of "Corvette: Sales, News & Lifestyle". I drive my dad's 1966 Corvette Sting Ray Convertible and call the Corvette Museum home.